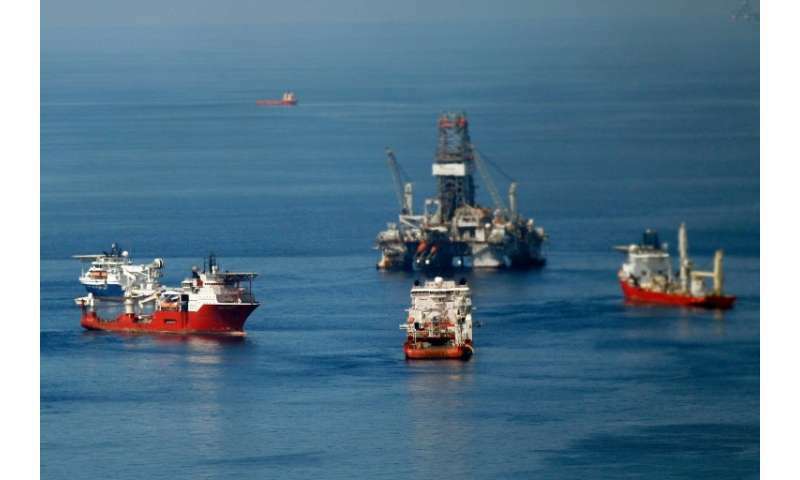 Mexico on Wednesday auctioned off six deep-water oil blocks located in the Gulf of Mexico, the largest such auction since the country's government opened the sector to private industry. Royal Dutch Shell won five of the blocks—four in a consortium with Qatar Petroleum, and one in association with the state oil giant Petroleos de Mexico (Pemex), Mexican officials said. One block was won by Pemex, while the other three were not awarded because there were no bids. The blocks are all located off the state of Tamaulipas, on Mexico's northeastern coast. The fields on the auction block are estimated to contain the equivalent of 4.2 billion barrels of oil. US heavyweights Exxon and Chevron, as well as France's Total, are among the companies qualified to participate in the auction, according to Mexico's oil regulator. Mexico is competing with Brazil to attract investment from the big oil companies for deepwater oil drilling, said Alejandra Leon with the firm IHS Markit. The auction follows a controversial energy reform in 2013 that saw Pemex lose its seven-decade-old monopoly on hydrocarbon production. With the landmark change, President Enrique Pena Nieto cleared the path for auctions in a bid to inject foreign capital into the politically sensitive oil industry.